Jorge Lorenzo has rejected a multi-million pound deal to join Ducati and will stay with Valentino Rossi in Yamaha’s official factory team. The 22-year-old, who currently sits second in the MotoGP world championship, has signed a new one-year deal after protracted negotiations with Yamaha that have dragged on since the winter. Lorenzo’s future had been the subject of intense recent speculation with Ducati intensifying its pursuit of the Spaniard in recent weeks, but he will remain with Yamaha, as was first reported by MCN at the British MotoGP race in July. Walking away from the best bike in MotoGP proved too much of a wrench for the double world 250GP champion, who was offered a two-year deal to join Ducati worth close to £15m. 8Lorenzo is understood to have accepted a salary over 50 per cent less than what Ducati and Marlboro had offered to ensure he remained on a factory YZR-M1. I am very happy!" said Lorenzo. "Today is a good day because I have decided to remain with the Yamaha Factory Team in 2010. "It was a very important decision and that's why I have had to take the last few weeks to make it, but I think that this is the best decision for me in this moment. "I want to thank Yamaha because they have always done everything that they have promised, and I especially would like to say thank you to Lin Jarvis and Masao Furusawa." Lorenzo’s decision ends the hopes of Dani Pedrosa, Nicky Hayden or Colin Edwards of securing the coveted slot next to eight-times world Rossi. Pedrosa was understood to be delaying signing his Repsol Honda contract until Lorenzo had decided his future with the triple world champion keen on a move to ride a factory YZR-M1. Hayden was also a leading contender with any Ducati deal for Lorenzo leaving the 2006 world champion frozen out of the Bologna factory squad. And had Lorenzo jumped to Ducati in a shock move, Yamaha had also admitted to considering moving Texan Edwards back to its factory team. The outcome of Lorenzo’s decision is likely to mean that Pedrosa will now go ahead and finalise his new two-year deal with HRC after Honda management confirmed at the last race in Brno that a ‘basic agreement’ had been reached for next season. Hayden is now likely to be given another year to show he can master Ducati’s fickle Desmosedici alongside Casey Stoner, with Ducati poised to exercise an early September option on the Kentucky rider. The future is less clear for double World Superbike champion Edwards though. 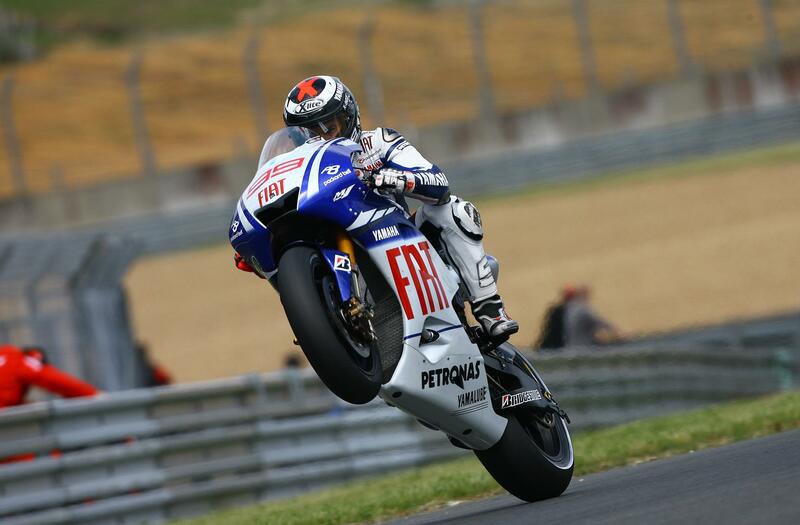 He is still waiting to learn whether compatriot Ben Spies will make a MotoGP switch in 2010. Should Spies opt to quit World Superbikes after a sensational rookie campaign, Edwards could be forced out of the Monster Yamaha Tech 3 despite the 35-year-old enjoying his best ever MotoGP campaign.